Resurected Psyco2 works, and it does it quite well. It supports only 32-bit systems, but even so the performace boost can be significant. 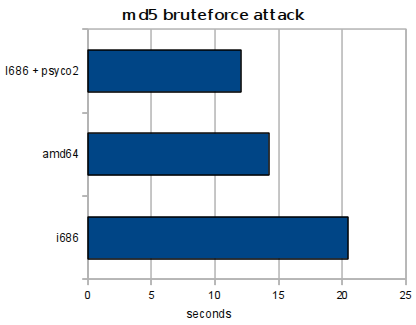 I've tested execution time of this script on Python 2.6 for amd64 (Gentoo) and i686 (Archlinux). The results are on the chart below. i686 finished after about 20 seconds, amd64 did the job in 14 seconds, but i686 and psyco won with 12 seconds!.